Benefits of Vitamin D to the running mom, Carolin can tell you a little about this. 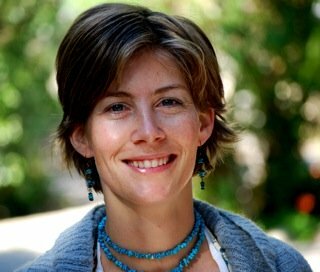 She is a licensed naturopathic practitioner from Germany and a running mom. Can Vitamin D give us motivation? Oh, yes! One of the benefits of Vitamin D is that it can stir up anyone’s motivation. This is a different kind of vitamin. It’s actually a hormone that benefits the whole body. According to studies, Vitamin D not only motivates people, but gives them energy and improves their moods as well. It can help people stay out of the darkness of depression and brighten their lives with total wellbeing. Vitamin D expert Dr. John Cannell started an investigation about this vitamin improving body performance, after noticing that several of his patients were reporting that they felt energetic, faster and stronger after taking their appropriate amount of Vitamin D.
It took Dr. Cannell a year to find convincing evidence from five independent research groups (mainly from German and Russian medical texts) before being able to conclude that people who keep a sufficient supply of vitamin D in their bodies will improve their athletic performance. Body builders know that steroid hormones can improve athletic performance and increase muscle mass. And activated vitamin D actually acts as potent steroid hormone in the body. The difference is that this nutrient is a natural part of the human body and the body actually requires. So, this steroid can be recommended to anyone because it is totally safe and healthy. All Vitamin D experts agree that the best way to get Vitamin D is by exposing oneself to the sun. That’s the reason Vitamin D is called the sunshine vitamin. A healthy person, who is able to expose bare arms and legs to the hot sun for a period of 15 minutes a day, can make 10,000 IU (International Units) to 20,000 IU of Vitamin D. It’s more than enough to cover the human body needs. So whatever is required will be used up and the rest will be stored in the body for later. If you live in a cold country or are unable to be in the sun for any reason, the best way to maintain your Vitamin D is by taking a supplement. Most scientists recommend at least 2,000 IU per day for a healthy adult. So running moms, boost up with Vitamin D and get the stamina you need. Vitamin D not only gives you energy, but it also strengthens your muscles and bones. And Vitamin D is key for calcium absorption too. In addition, the benefits of Vitamin D will not only give you a healthy, active body today, but also for years to come. This nutrient will make a difference in your current and future life because it will prepare your body to age well. This article on the benefits of vitamin D was written by Carolin Houser, a licensed Naturopathic practitioner from Germany. 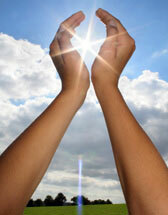 To read more about Vitamin D and it's benefits, you can visit her blog at be-healthy-with-vitamin-d.com.